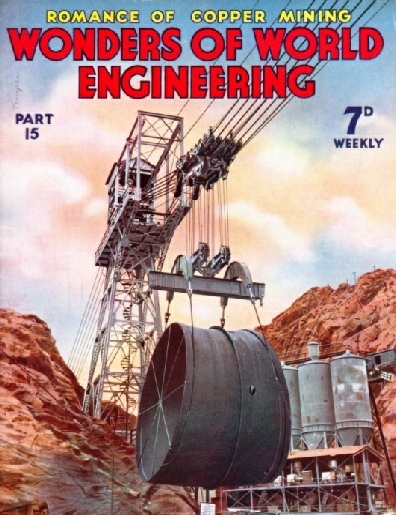 Part 15 of Wonders of World Engineering was published on Tuesday 8th June 1937, price 7d. Part 15 includes a photogravure supplement showing the Romance of African Copper, which illustrates the article on this subject. part 14. This is the third article in the series Below the Surface. THE task of building a bridge or viaduct across a waterway frequented by small craft only is generally much easier for the engineer than when the waterway is used by large ships. 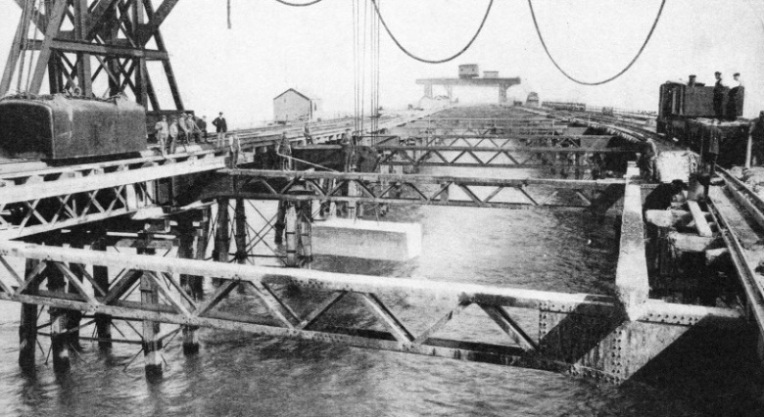 In such conditions, to provide headroom for ships with a fixed deck bridge when the banks of the waterway are low is almost always out of the question. For one thing it would involve long and costly approaches to reach the desired height. With a low approach, then, some other method has to be adopted. 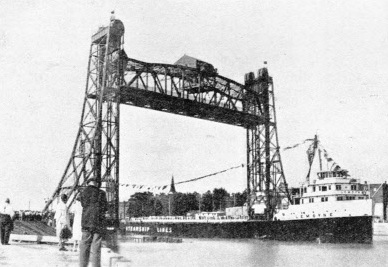 The bascule bridge and the transporter bridge, described in the chapter beginning on page 381, are two types of bridge suitable for the purpose, although they have their limitations. the ends by wire ropes passing over large pulleys at the top of the guiding towers, counterweights inside the towers being attached to the other ends of the ropes. travelling on conductor wires stretched vertically down the front of the towers. A petrol engine is fitted for use in the event of current failure. 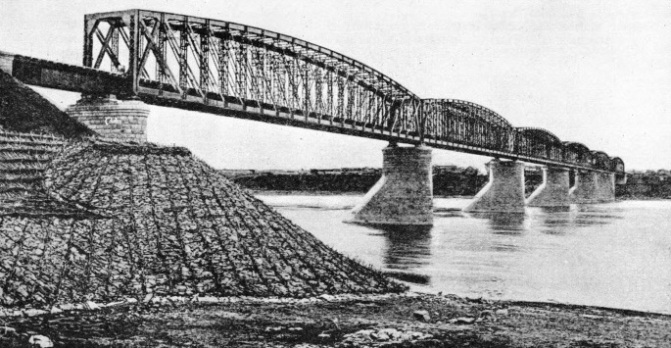 The bridge shown in the lower illustration is of an older type, although it was completed in 1936. A span in the deepest part of the waterway is pivoted on a vertical axis so that it can be swung round to a position at right angles to the roadway and so leave a clear passage for ships at either side. alignment with the approach roads. The roadway is 30 feet wide. 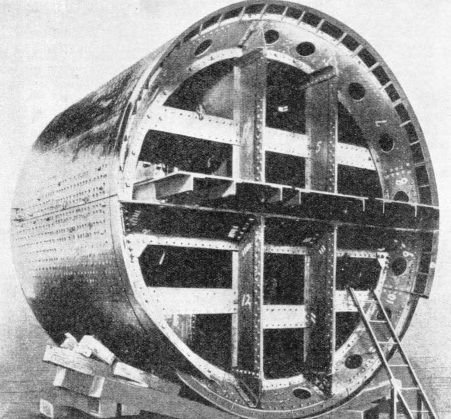 This is the eighth article in the series on Modern Engineering Practice. Modern industrial welding is a constructional method practised in workshops all over the world. Three principal welding systems are in use, the electric, the oxy-gas and the thermit process. 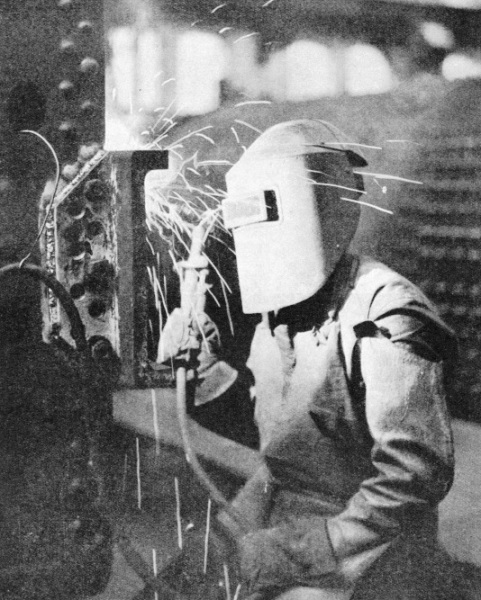 Electric welding may call for temperatures as high as 7,500 degrees Fahrenheit. This chapter is by F E Dean, and is full of interesting explanations of the various welding processes that are used. 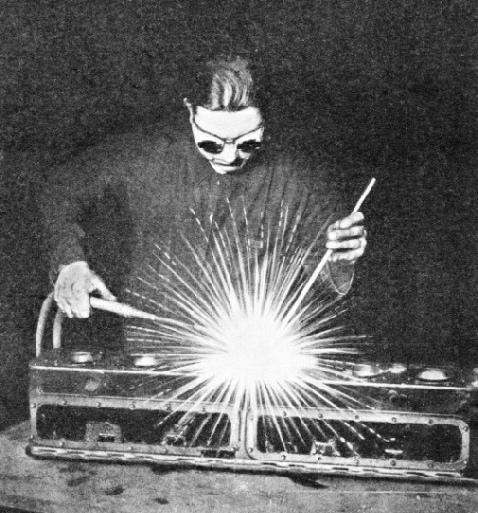 The principle of electric resistance welding was discovered by accident when Professor Elihu Thomson was giving a lecture in the United States on electricity. One of the fascinating processes described is the metallization process, by which the most delicate of substances can be coated without injury. In this way it would be possible to put a glove of molten steel on the human hand without burning the skin. 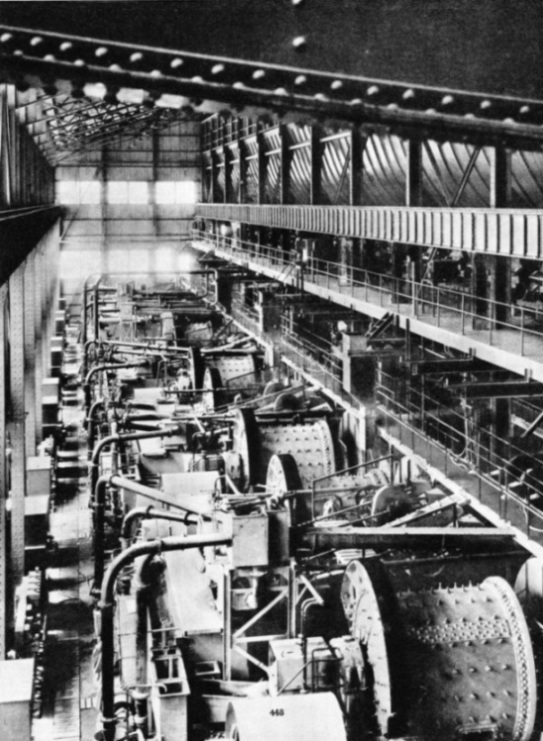 The exposed position of Dover made the building of its huge naval harbour a tremendous feat of engineering, calling for much daring and high organizing skill. Harbour building is one of the most interesting feats of the civil engineer. He has the sea to contend with, and the sea is a formidable opponent. One of the largest, and certainly one of the most important examples of harbour building is the National Harbour at Dover. Eleven years were occupied in this work, and the cost of it was about £4,000,000. The position of Dover made the work all the more difficult, because the port is so situated that it is exposed to the full fury of all gales ranging from extreme west to extreme east. 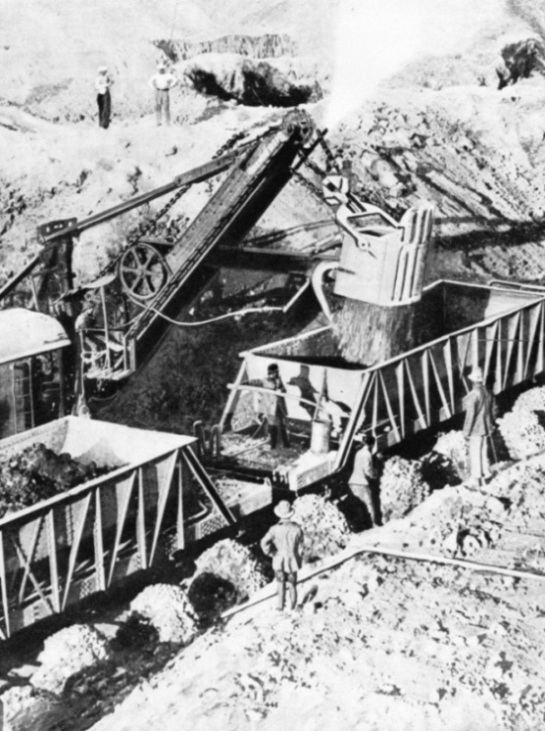 In all about two and a half miles of breakwater and sea wall were built. The work is described in this chapter by Harold Shepstone. The harbour was opened by King George V (then Prince of Wales) on October 15, 1909. There is accommodation, in the enclosed water area of 610 acres, for a fleet of large warships and their attendant craft. 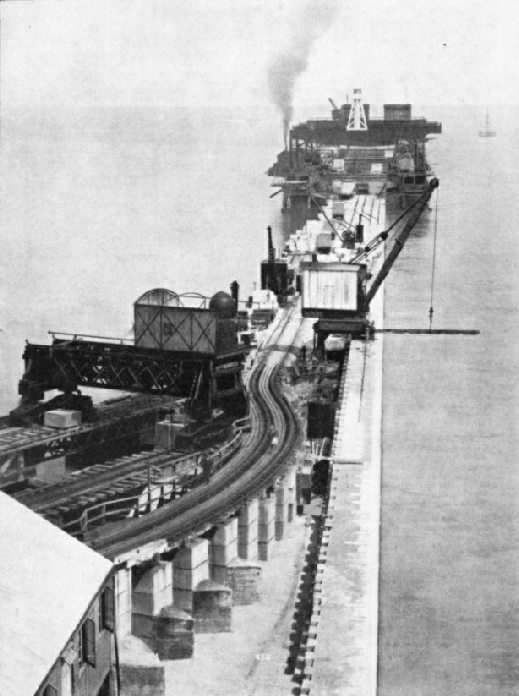 The harbour works included the extension of the Admiralty Pier, which is used by the regular cross-Channel packets, to double its previous length, thus making it 3,200 feet long. An area of twenty-one acres, too, was reclaimed from the foreshore. 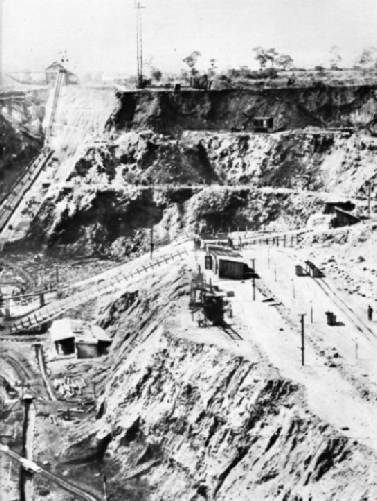 The riches of the Copper Belt in Katanga, Belgian Congo, and of the copper mines in Northern Rhodesia have been won by the efforts of explorers, railway pioneers and mining engineers, who have built up an important industry in a district remote from the rest of civilization. One of the chief virtues of copper as a metal is that, except for silver, it is the best conductor of electricity. Its use, therefore, in this electric age, is extensive for engineering purposes. For thousands of years, however, copper was used as a precious metal and for decorative purposes. The word is derived from the name of the island of Cyprus, where the Romans obtained their copper ore. One of the richest copper-bearing districts in the world is the Katanga Copper belt in the Belgian Congo. 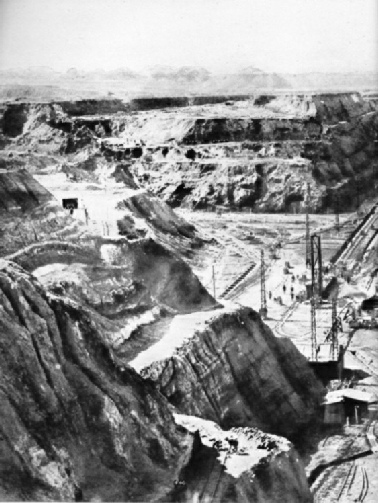 Here are numbers of rich copper mines, and in this chapter Sidney Howard describes how the copper is extracted from the ore in the African mines. The chapter is illustrated with a photogravure section.